Length w/o Bucket 104.6 in. Fuel Tank Capacity 24.75 gal. Rated Operating Capacity 1,650 lbs. Height to Bucket Pin 114.5 in. 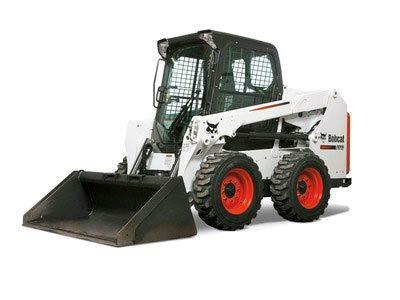 * Please call us with any questions about our loader bobcat s510 rentals in Fallbrook CA, Temecula, Camp Pendleton, Bonsall, Escondido, Twentynine Palms and Northern San Diego County.